Gibson Guitars has put their downtown Memphis facility up for sale. In a press release, the company implies that the Memphis factory is not closing, or leaving Memphis, but looking for a smaller space the the almost 128,000 building they currently occupy. Asking price is $17 million dollars, including a 330 space parking lot. 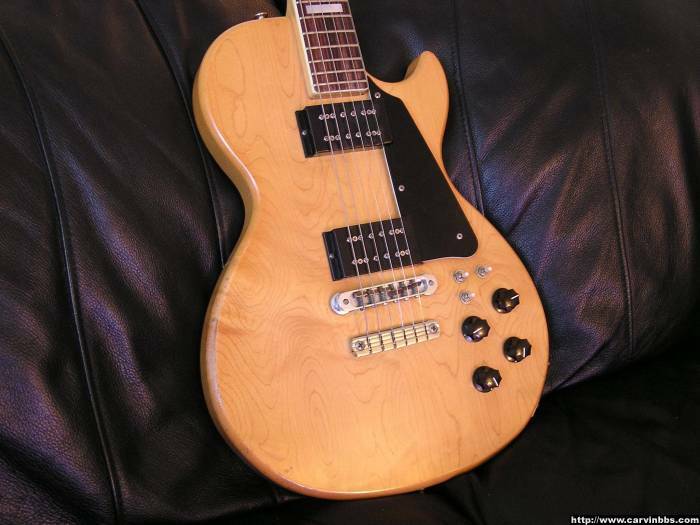 Gibson has been a Memphis fixture for the past 18 years. When it was built it had a large entertainment facility that has not been used in the past few years. 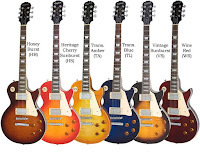 Unconfirmed source state the Gibson Brands Incorporated has accrued considerable debt. They go on to say that the Memphis plant will not be closing anytime soon. It is estimated that it will take 18 to 24 months to find a new home. 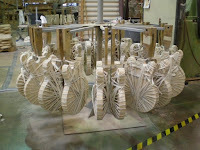 Gibson has three factories that produce their instruments. 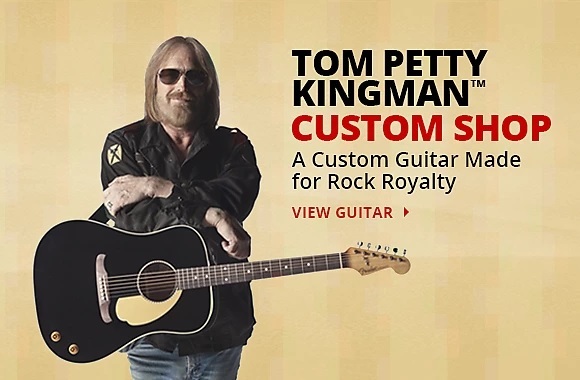 The facility in Memphis builds the ES semi-hollow body electric guitars and all of their custom instruments. 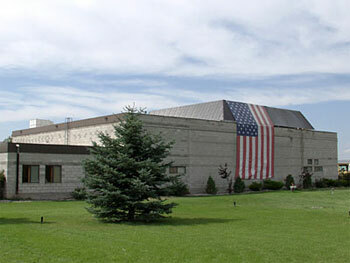 In Nashville, Tennessee, Gibson’s solid body guitars are produced, and in Bozeman, Montana, Gibson’s acoustic guitars are created. 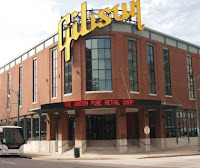 In a press release, Gibson CEO Henry Juszkiewicz states: “We are extremely excited about the next phase of growth we believe will benefit both our employees, and the Memphis community. 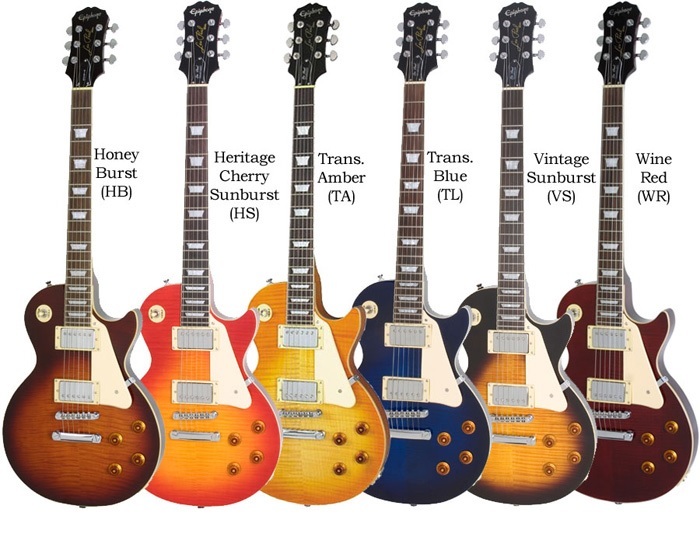 In addition to the Gibson brand name, Gibson also owns the Epiphone, Kramer, Maestro, Kalamazoo, Dobro, and Valley Arts brand names for guitars. 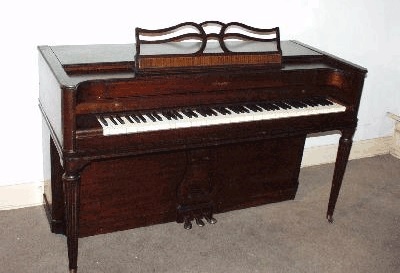 The company owns the Slingerland Drum Company, as well as the Baldwin, Wurlitzer, Chickering, and Hamilton piano brand names. 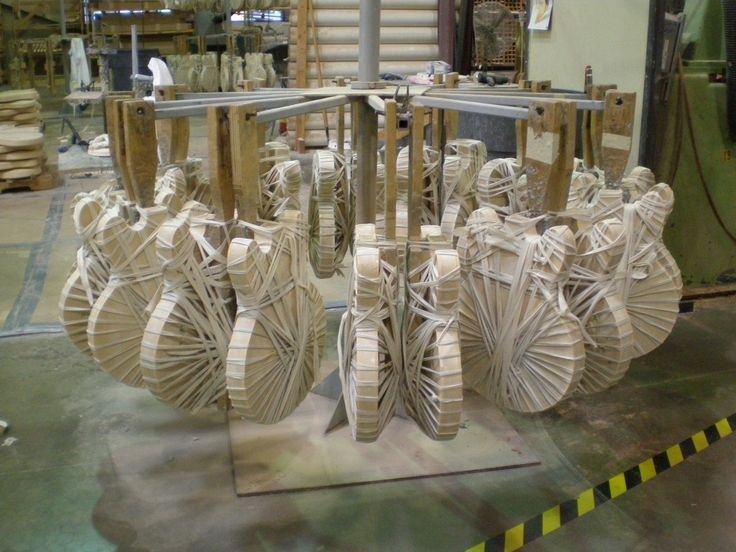 Slingerland drums are no longer being manufacutred. 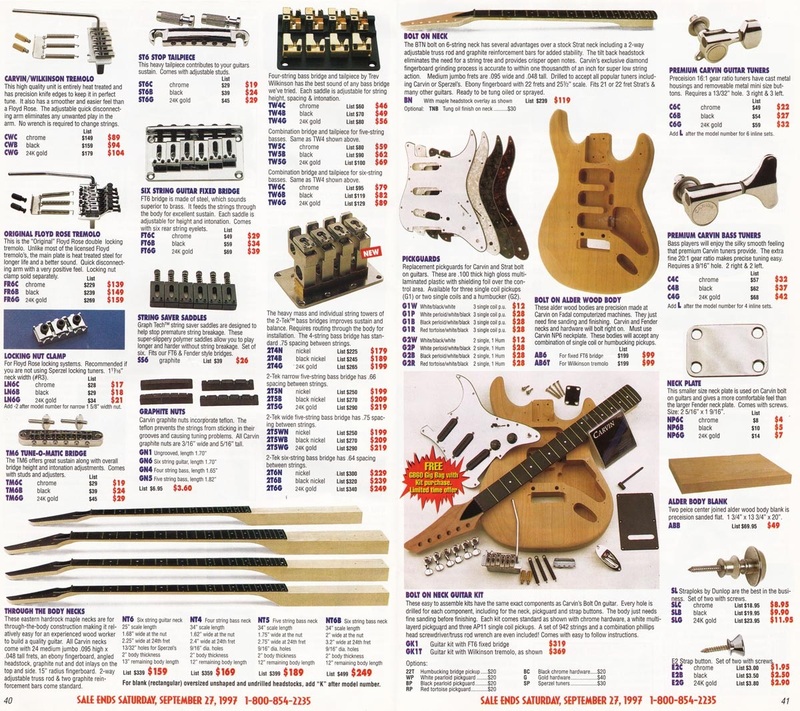 Some of the other guitar brands are no longer being made, while others, that were once American brands, are now being outsourced to Asian manufacturers. 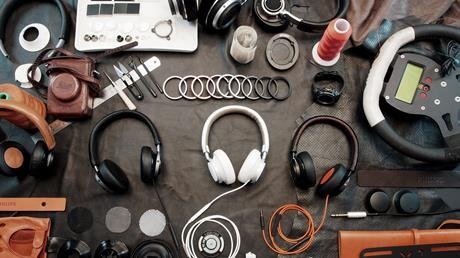 Surprisingly, Gibson Brands largest business in not in guitars, but in its electronics and audio businesses. Gibson Innovations is a licensee of Phillips brand audio, Gibson also owns the Onkyo Corporation, which produces Onkyo and Pioneer brands. They own both the Tascam and Teac Corporation, including their Esoteric brands. 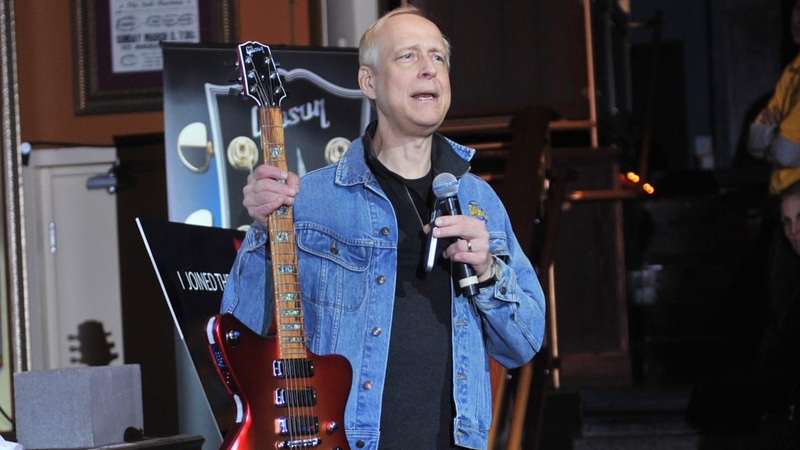 Gibson owns Cerwin Vega, Stanton, KRK Systems and the software company; Cakewalk. On October the 11th, the owners of Carvin Audio announced that after 71 years of being in business they are closing. 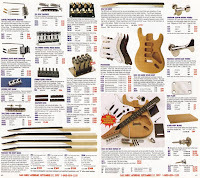 Carvin guitars and amplifiers is a company started by Lowell C. Kiesel in San Diego California back in 1946. 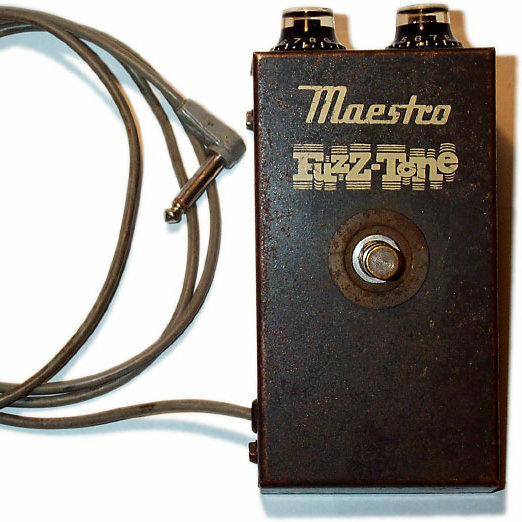 At that time Mr. Kiesel had created a stringed instrument pickup. 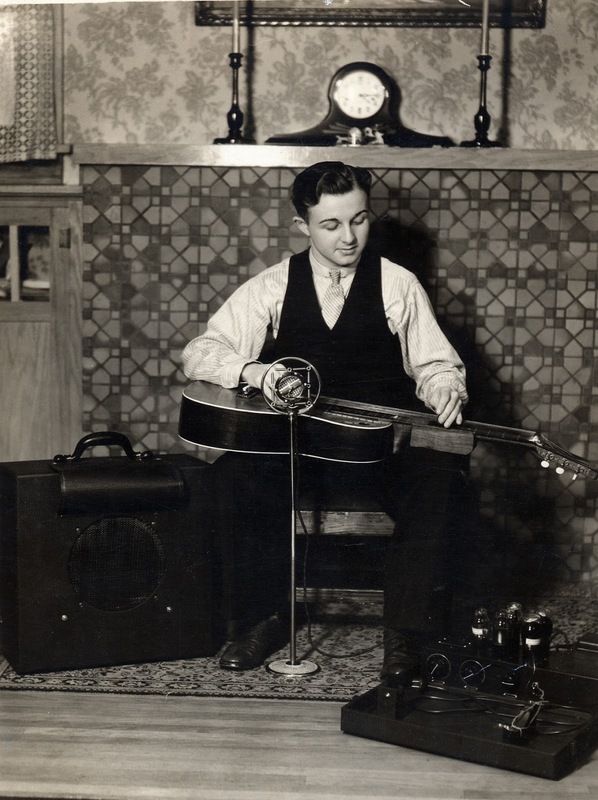 This was at a time when the steel guitar was very popular, especially for Country and Western bands that were spring up in Southern California. Kiesel was an accomplished steel guitar player. Within a year Kiesel moved his location and began manufacturing steel guitars. By 1949 he set up a larger facility in Baldwin Park, California This same year Lowell changed the companies name from Kiesel Guitars, to Carvin Guitars. Carvin was an amalgamation of the names of Lowell’s sons; Carson and Gavin. 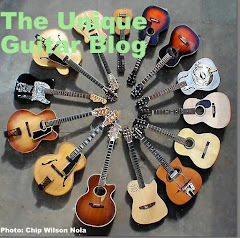 The companies earliest guitars, and basses were very basic, but functional. 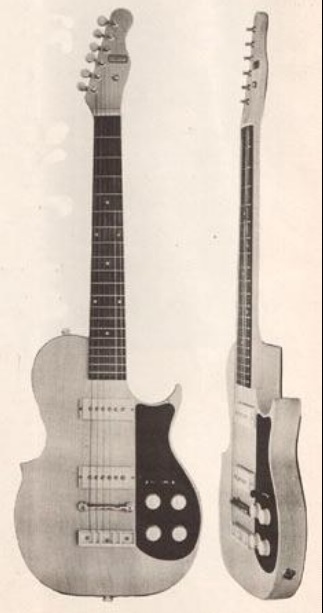 They utilized necks made by Höfner, and pickups manufactured by DeArmond. 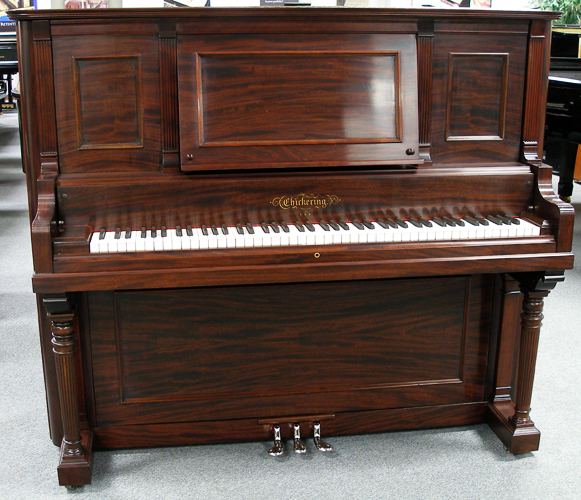 In addition to their own guitars, Carvin also offered Martin guitars, Fender guitars, and Sonola accordions. 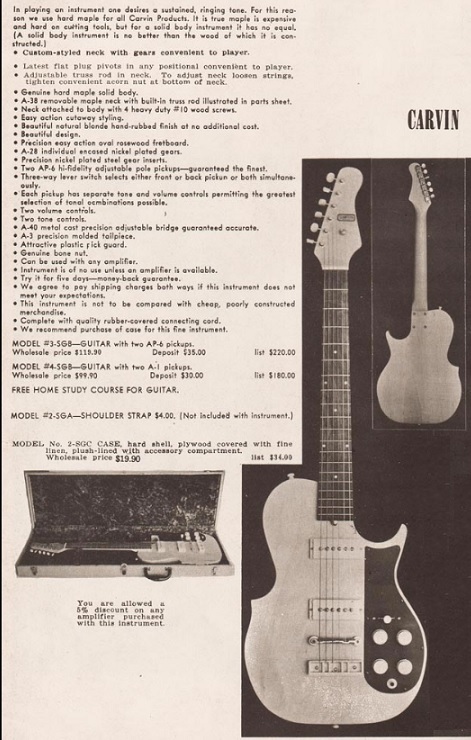 They also offered a complete line of steel and pedal steel guitars. 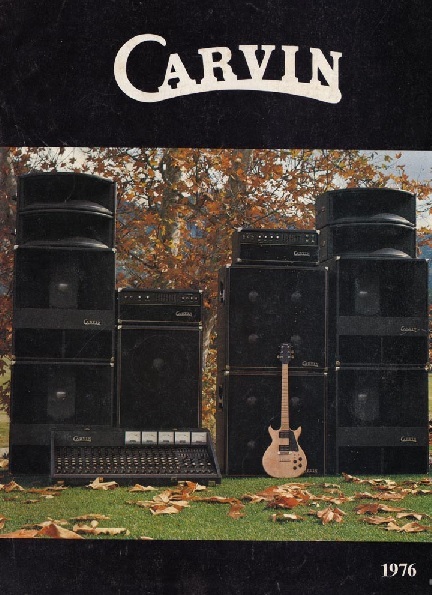 By the mid 1970’s the quality of Carvin guitars had greatly improved, and in addition to their own line of amplifiers, they were offering professional audio equipment. Later in the decade they expanded into recording equipment, stage lighting, and other studio equipment. 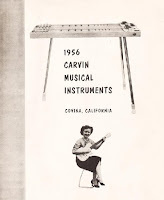 Carvin offered guitar kits as early as the 1960’s. Carvin continued to manufacture their own pickups. 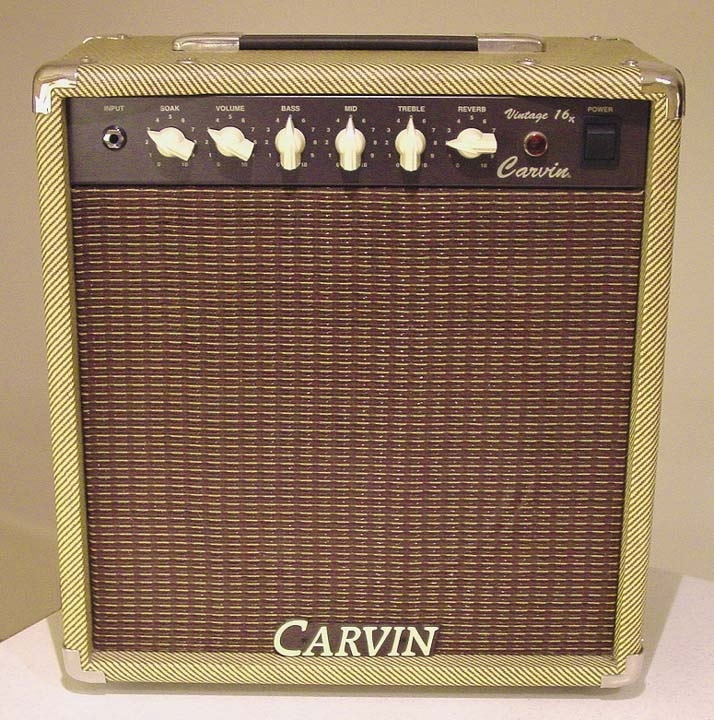 The Carvin company began building guitar amplifiers as early as the 1950’s. 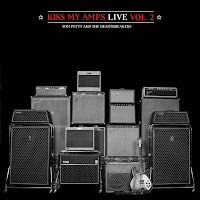 The appearance of their early amplifiers were similar to Fender or Gibson amplifiers. 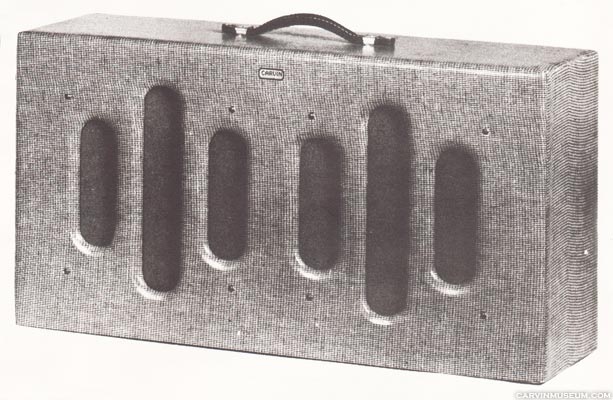 The amplifiers were every bit as good as comparable Fender amplifiers, but were sold direct to the public at half the price as Fender amps. 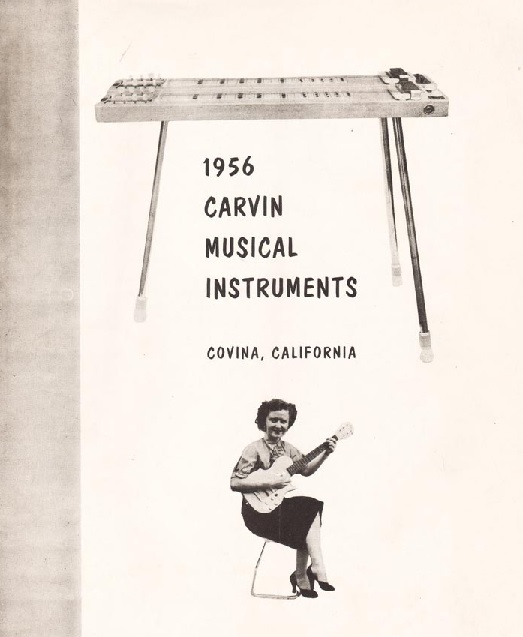 Carvin’s sales were always direct to the public. This was a niche that other manufactures never pursued, but it was the key to Carvin's success. Their only stores were their own retail outlets, that were not opened until 1991. These three locations were in Southern California, and include their Escondido factory. 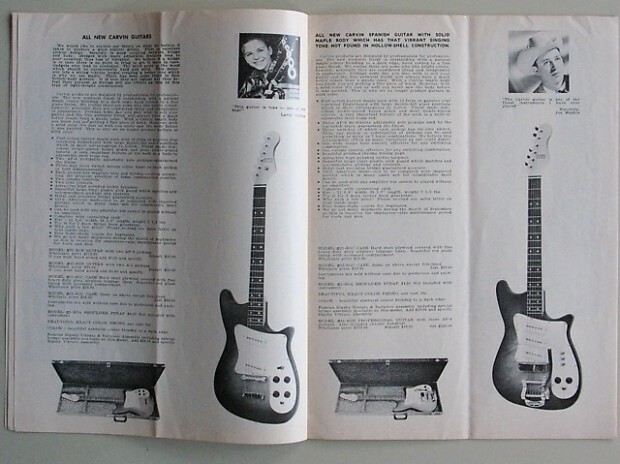 Their early catalogs were crudely done as mimeographed flyers, with descriptions of the guitars and amps. They had black and white photographs of the products. 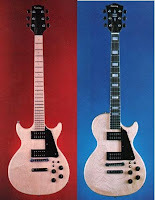 By 1976 Carvin began offering color catalogs. This same year, Carvin guitars came with all the bells and whistles, that included pickup phasing switches, coil tap, and stereo controls. Bodies were made in the USA, the necks were made in Germany by Hòfner. 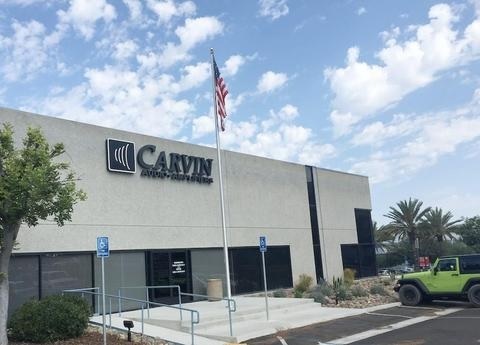 In 2015, Carvin split into two divisions. 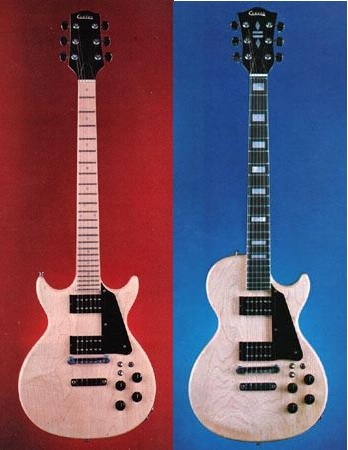 Their new guitars were re-branded under the brand name Kiesel. 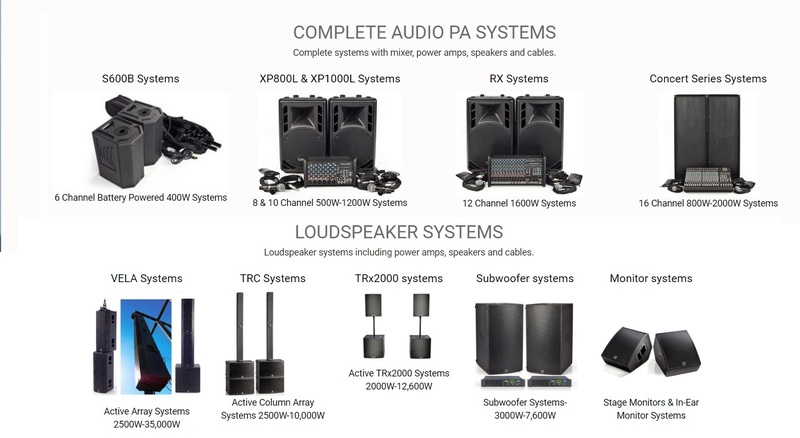 Audio equipment remained under the name Carvin Audio. 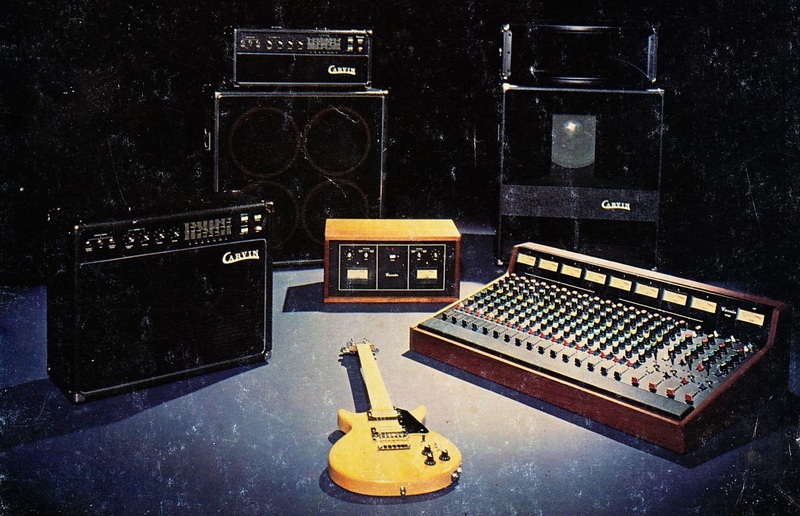 As best as I can tell, Carvin began offering first class audio mixing consoles, and power amplifiers in 1979. Their equipment was of professional quality. Initial offerings were from 4 channels to 16 channels with 8 outputs. 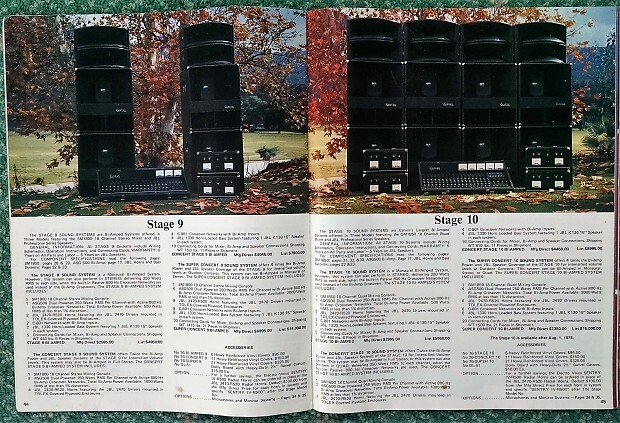 Carvin also manufactured stage monitors, and professional speaker systems. 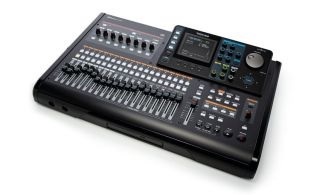 Recently they added digital mixing boards, microphones, wireless systems, in-ear monitors, and power conditioners. 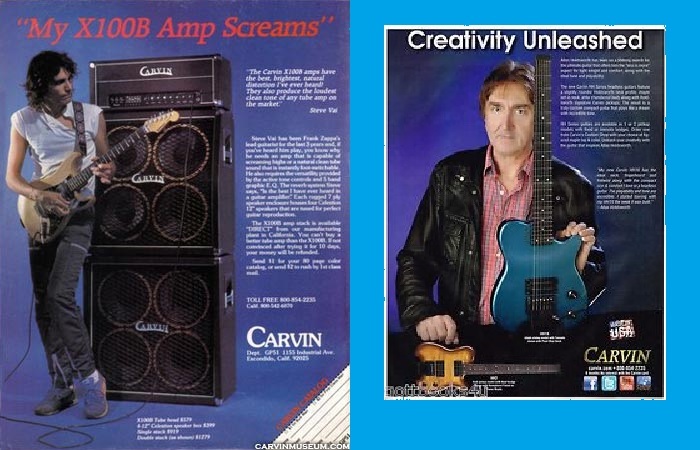 Carvin guitar amplifiers were legendary. Steve Vai was an endorser. 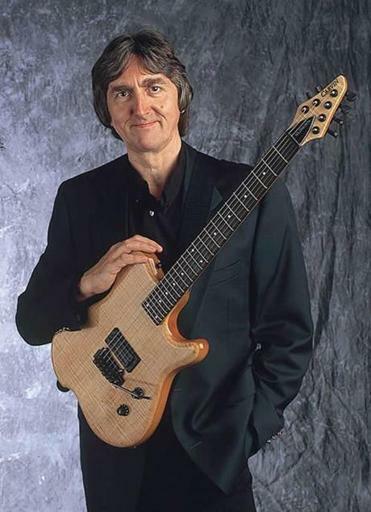 The late Alan Holdsworth played his Carvin signature model. 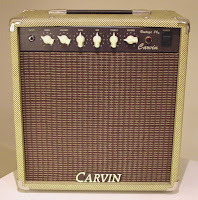 Carvin Vintage series tube guitar amplifiers were comparable to better known brands, at a much lower price. 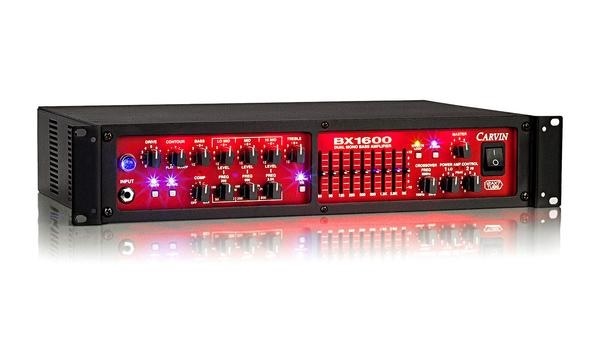 Carvin bass amplifiers, sold as the BX series and as well as their cabinets were great values. These were rated from 250 watts to 2000 watts RMS. 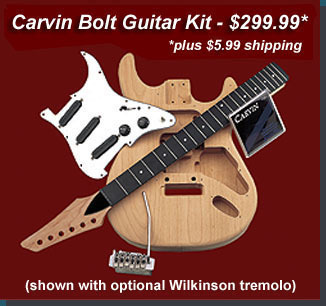 Unfortunately Carvin equipment will no longer be available. The website is offering remaining stock, but most stock has already been sold. 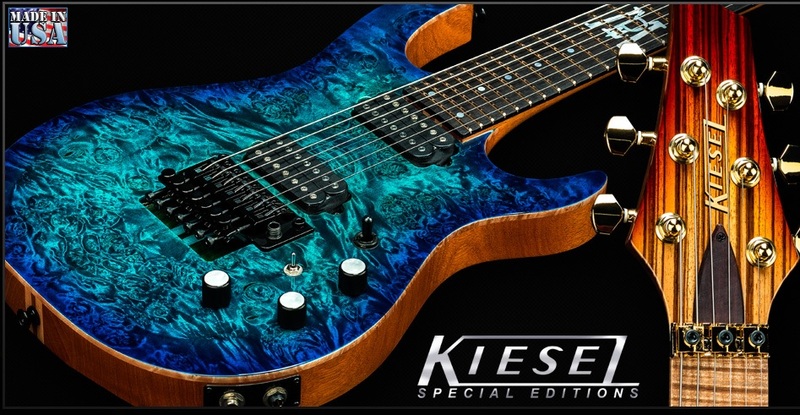 Kiesel still offers gorgeous guitars and basses, as well as guitar and bass pickups, bodies, kits, necks, and parts. 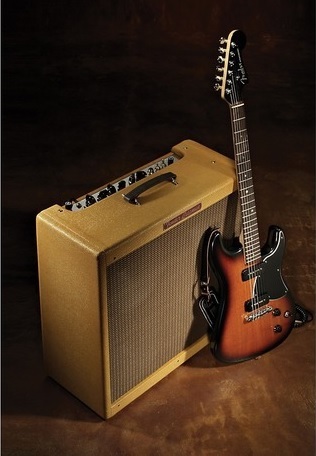 Carvin guitars and amplifiers have always been under the radar when compared to Fender, Gibson, and Vox. Those who own Carvin products swear by them. Click on the links below the pictures for sources. Click on the links in the text for further information. 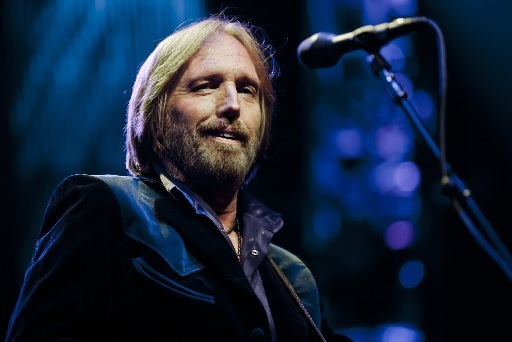 Charlie T. Wilbury Jr has died, and so has Tom Petty. 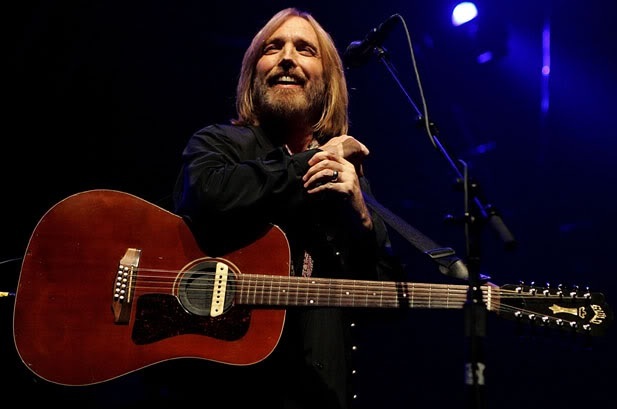 When I think of Tom Petty, I think of one of the last real rock players. 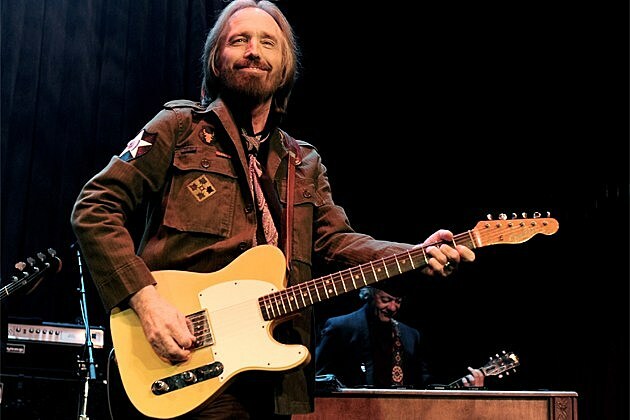 There are some others still with us; Petty was one of the best. 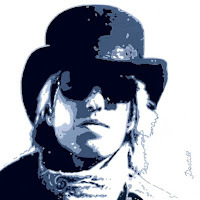 Tom Petty was a like chameleon. 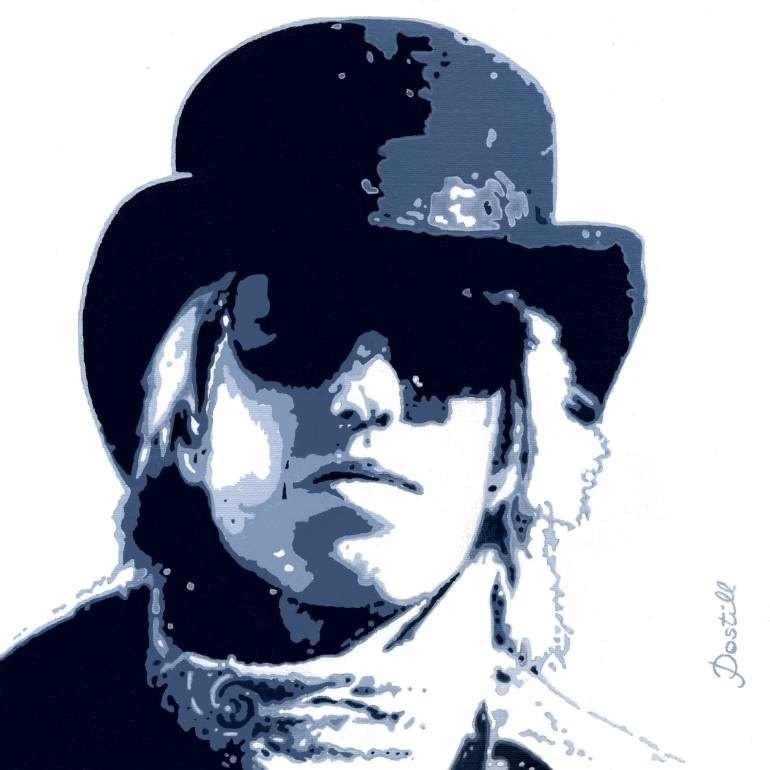 Sometimes his voice sounded like Bob Dylan; Sometimes he sounded like Roger McQuinn, on his song Room at the Top, he tried to sound like Carl Wilson, but most of the time Petty was at his best with his own distinct voice. 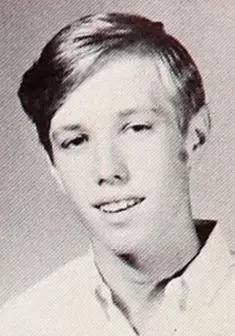 Petty had a rough childhood with an abusive father. 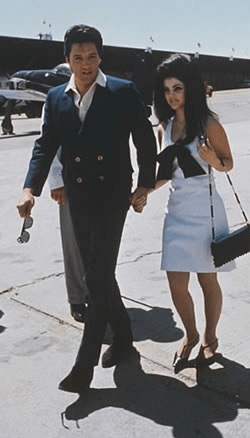 By age 11, he knew what he wanted to do with his life, when he had a chance meeting with Elvis Presley. In 1961, Tom's uncle owned a film developing company in Ocala Florida, the same town where Elvis was shooting the movie, Follow That Dream. Young Petty was asked by his aunt and cousins if he would like to go watch the action. Petty was dumbfound when the King climbed out of a white Cadillac and walked over past the crowd to speak with his aunt, cousins, and him. 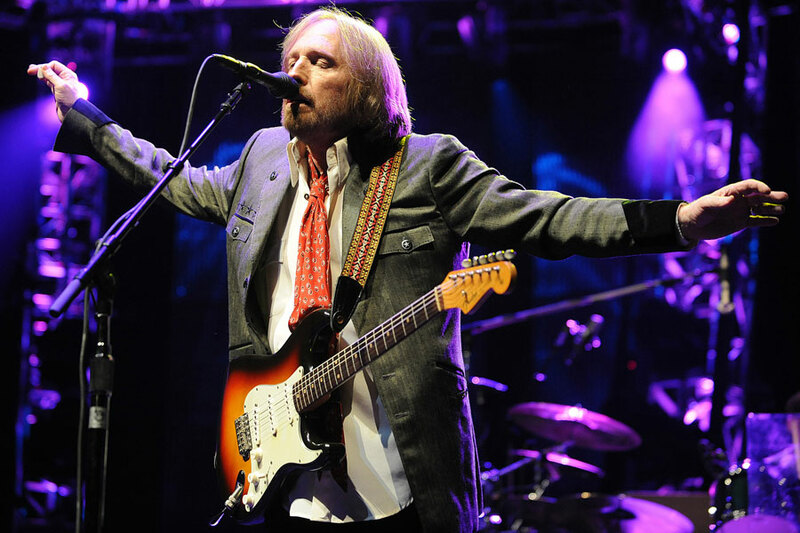 While his family recalls that moment as a special event, for Tom Petty this was life changing. After that he quit going outside, content to stay inside and listen to music all day. He even collected Elvis 45 rpm records. 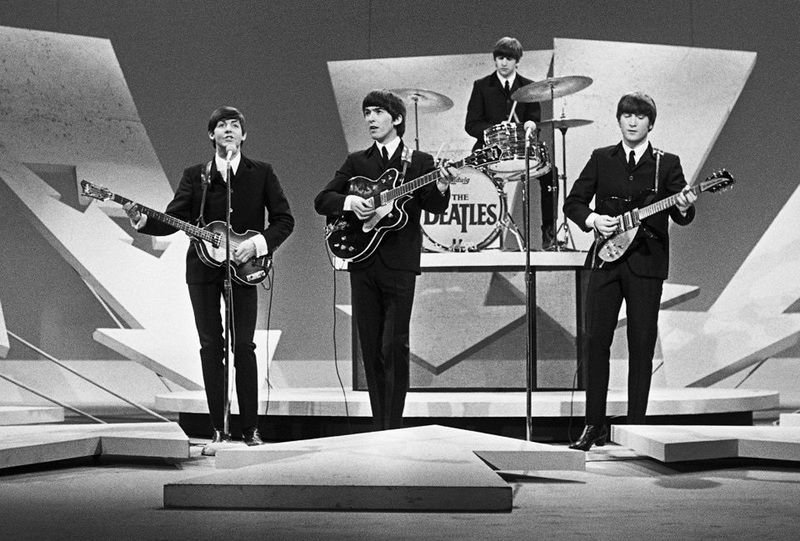 In 1964, when The Beatles were on the Ed Sullivan Show, Petty knew that he wanted to be in a band. Eventually he learned to play guitar. And of course, if you played guitar, you needed to sing. 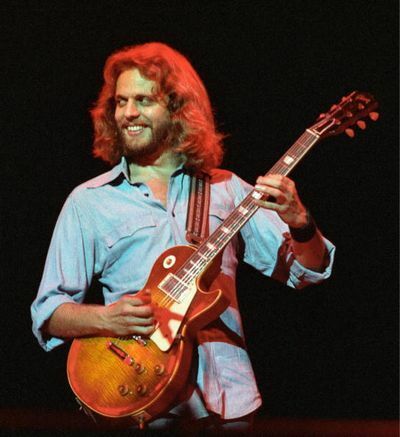 His first guitar teacher was Don Felder, who went on to become one of the founding member of The Eagles. 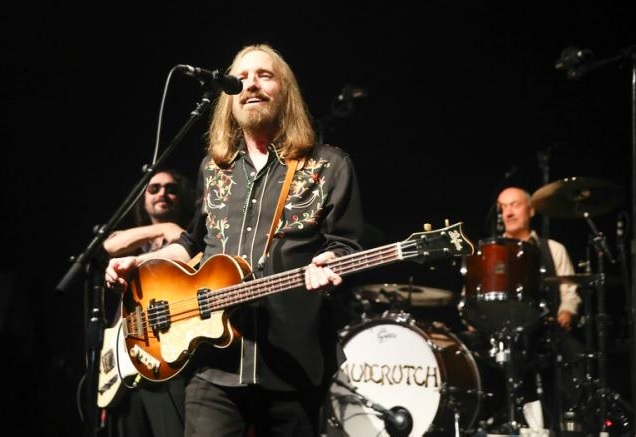 He formed a band called The Epic, which later named themselves Mudcrutch. By 1976, the band had gone their separate ways after a recording they made called Depot Street failed to chart. 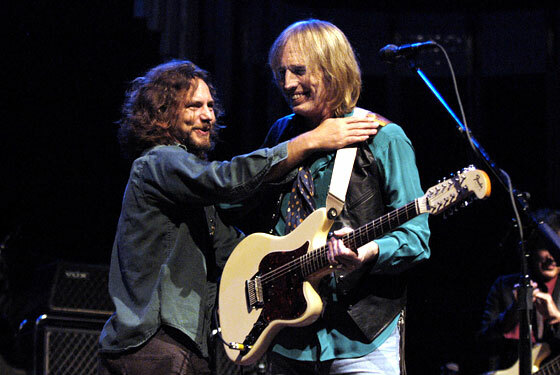 Mike Campbell, Benmont Trench, decided to stick with Petty, who had decided on a solo career. 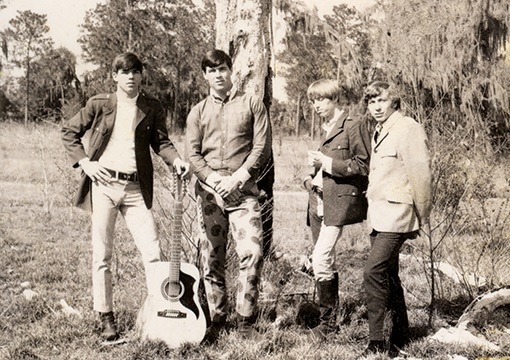 They were later joined by Ron Blair, and Stan Lynch and became the first incarnation of The Heartbreakers. The band’s first album enjoyed more success in the UK than in the United States. 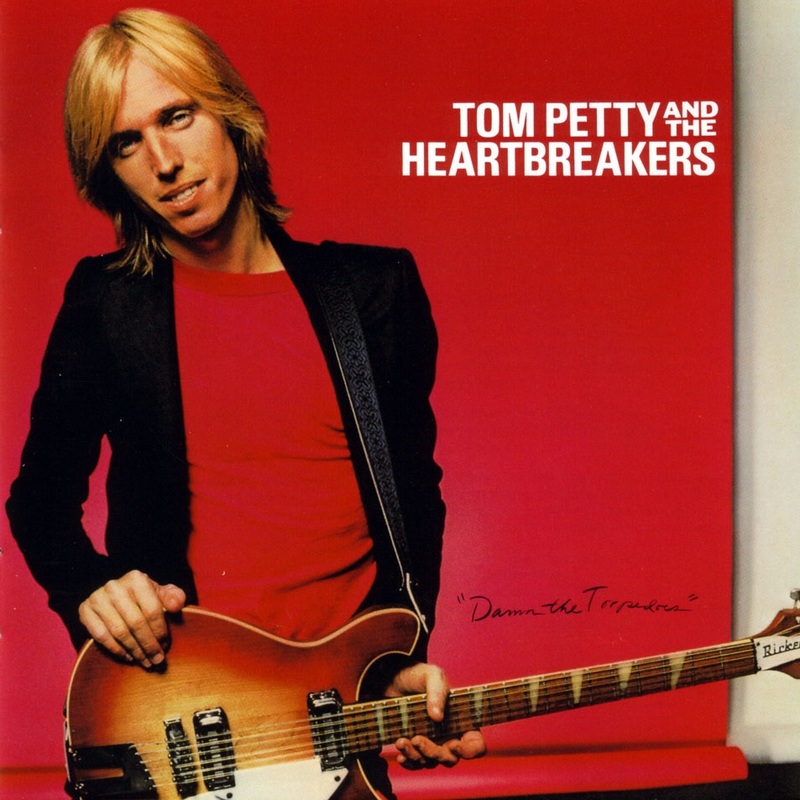 But their second album, Damn The Torpedoes, sold over two million copies and had hit songs on it like, Don’t Do Me Like That, Here Comes My Girl, and Refugee. 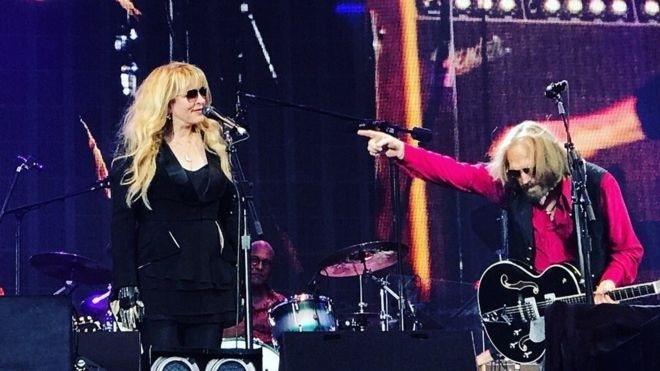 Subsequent albums were also hits, and lead to Petty recording with Stevie Nicks, and being asked by Bob Dylan to join him on tour. The Heartbreakers even played some dates with The Grateful Dead. The groups 1985 album was produced by Dave Stewart of the Eurythmics. 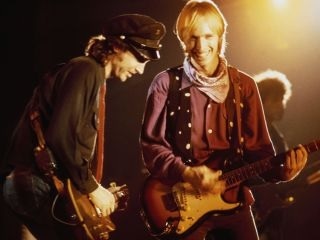 In 1988 Petty was asked by George Harrison to join his group, The Traveling Wilburys. 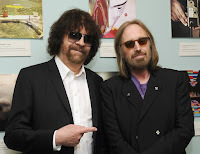 Along with Petty, and Harrison were Roy Orbison, and Jeff Lynne. This lead to several albums. 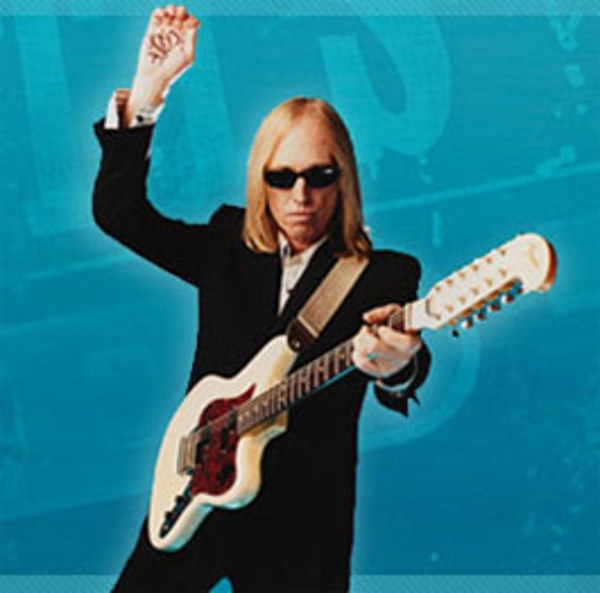 Petty incorporated The Wilburys’ songs into his live shows. Petty collaborated with Jeff Lynne on one of his best songs; I Won't Back Down. 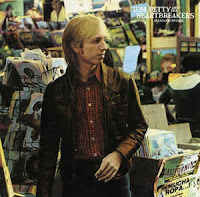 Petty and the Heartbreakers had initially inked a deal with Shelter Records at the start of their career. Shelter Records was later sold to MCA, which upset Petty. He felt that he and his band were being treated like a commodity. To thumb his nose at MCA, he financed next record and ran up a bill in a recording studio costs of over $500,000, then he refused to release the album. In a legal move, he declared bankruptcy to force MCA to void his contract. He then resigned with MCA on more favorable terms. His album, Hard Promises was to be sold at $9.98. 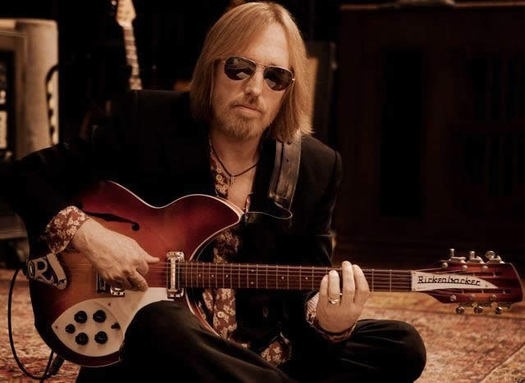 Petty once again argued with executives at the company that the price was too high and he refused to allow the album to go forward. The record company relented and dropped the price a full dollar. Petty’s legal maneuvering led the way for other artists to take back their music and receive respect from the record companies. 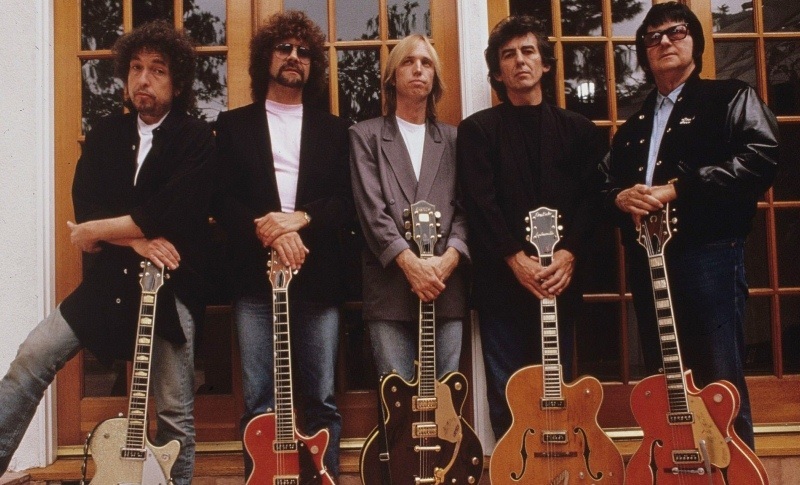 The Traveling Wilburys were signed to Warner Brothers Records. 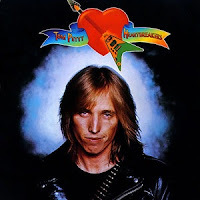 Petty later signed a contract with this company under a better arrangement then he had with MCA. 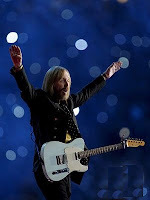 Tom Petty and the Heartbreakers continued to tour and played his last concert at the Hollywood Bowl just a week before his untimely death on October 2nd. 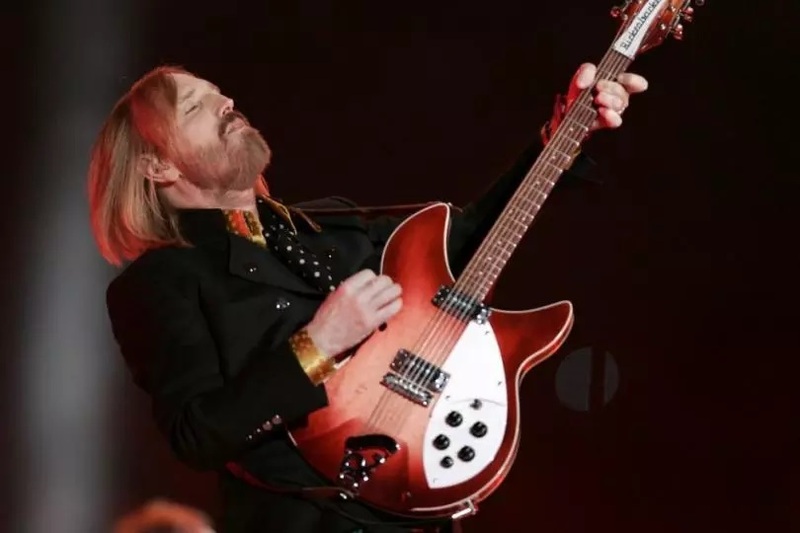 The guitars that Petty used are too numerous to mention them all. 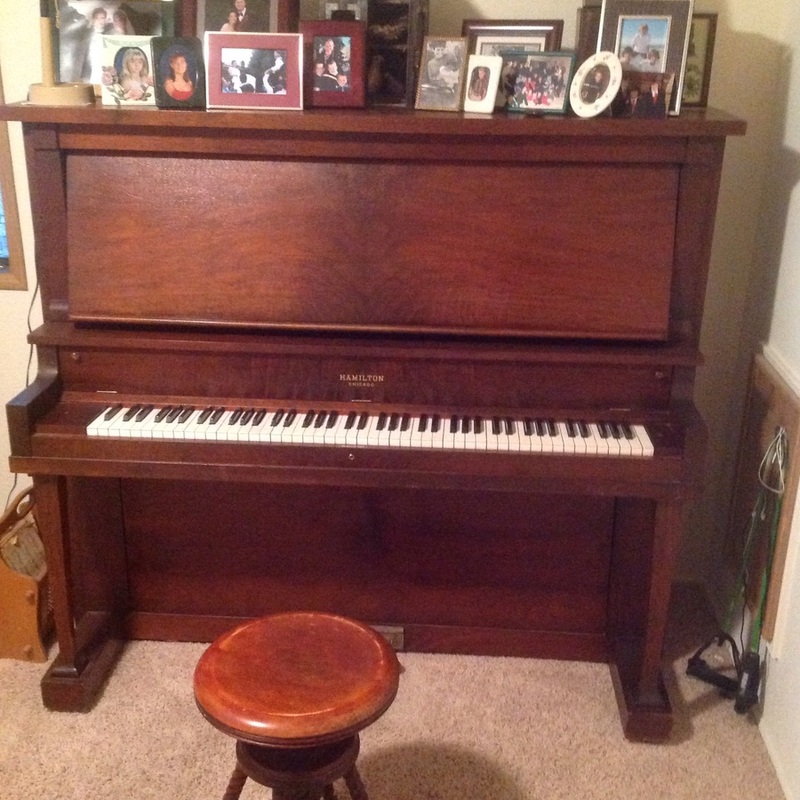 He was a collector and owned some exquisite instruments. One of his favourite guitasr was a sunburst 1964 Fender Stratocaster. He played quite a few Rickenbacker instruments, including a 1965 Rose Morris, and a 1987, and 1993 reissue of the Rose Morris. 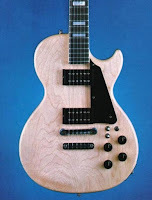 For those that do not know, in 1965 Rose-Morris Music was chosen to be the official distributor of Rickenbacker guitars. 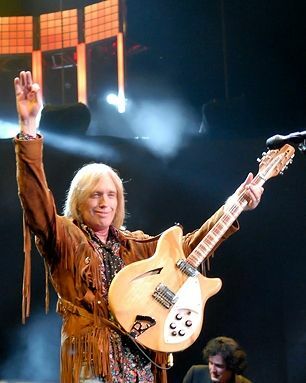 Petty also owns a 1967 Rickenbacker 360/12. 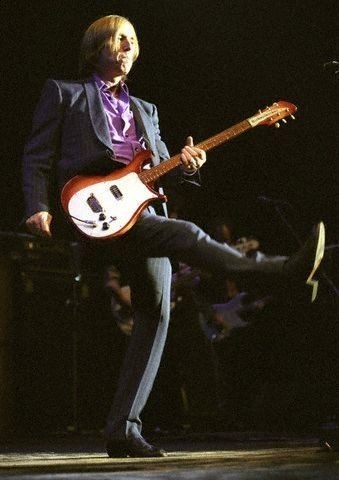 He plays a 1989 Rickenbacker 660/12TP, that was designed by the company as an artist model for him. 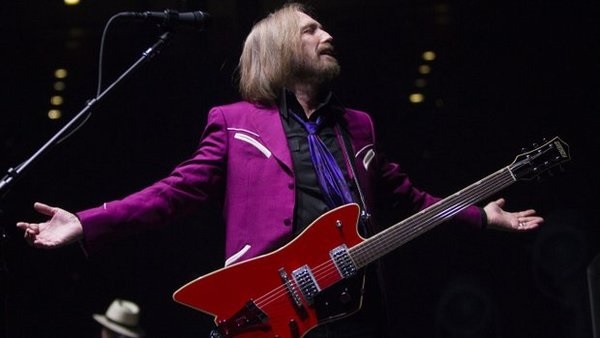 Petty had input in the design of this guitar's neck. 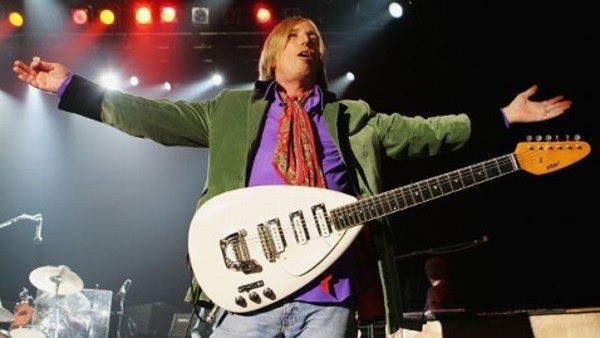 He had them build the neck so it was slightly wider than other Rickenbacker 12 string guitars. 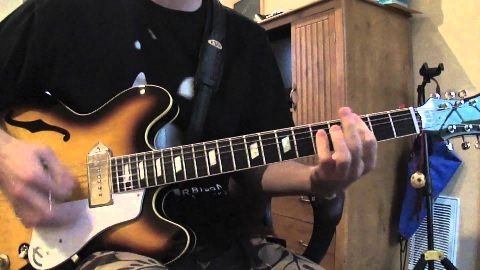 In an interview he stated that one of his favorite guitars for recording is an Epiphone Casino. 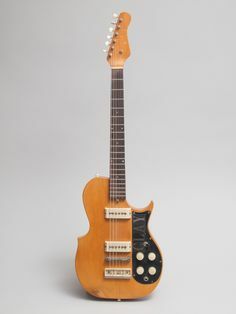 Since feedback was a problem with hollow body guitars, he did not take this one on the road. 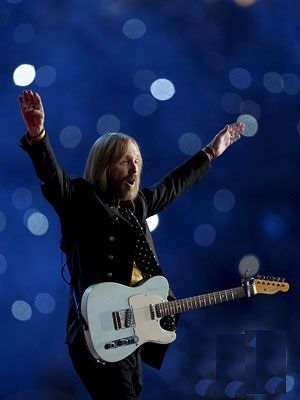 On the road he played a white ‘62 Fender Custom Shop Stratocaster, as well as a sonic blue ‘63 Fender Telecaster. Petty also owned a blonde ‘67 Fender Esquire, and his sunburst ‘64 Fender Stratocaster. 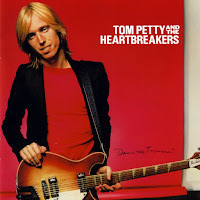 Tom also owned a white ‘63 Fender Stratocaster, a 1960 blonde Telecaster, and a 1976 Gibson Firebird V.
Petty owned and played a couple of vintage Gretsch guitars; a 1963 Gretsch Country Gentleman, model 6122, and a 1967 Gretsch Tennessean, model 6119. 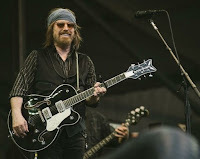 He also owned a Gretsch G61999 Billy-Bo Jupiter. 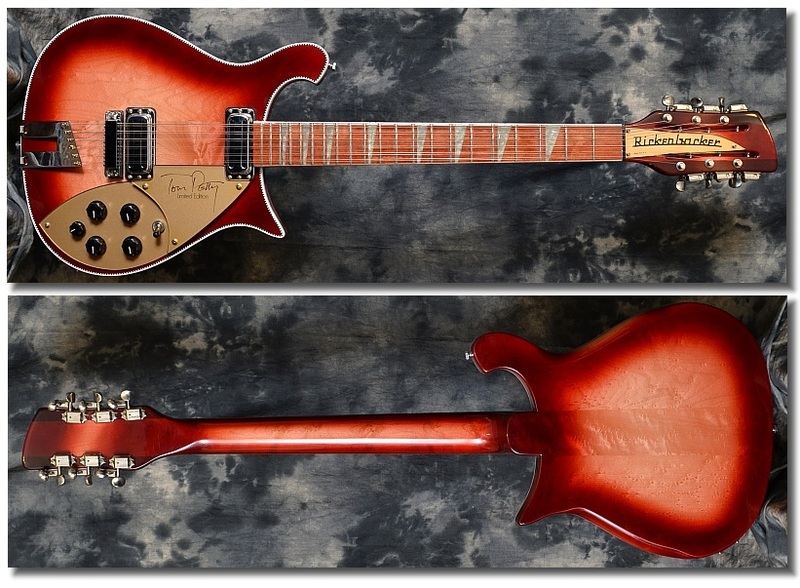 We've already alluded to his Rickenbacker collection, which included His 1964 Rose Morris 12 string with a Fireglo finish. A Rickebacker 320, a 1967 Rickenbacker 360/12, a mid 1980’s Rickenbacker 620/12 with a fireglo finish, his signature 660/12TP, also done in fireglo. 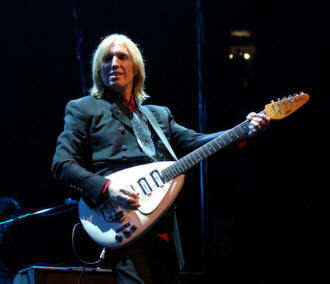 Petty also played a white 1966 Vox Mark VI teardrop guitar. 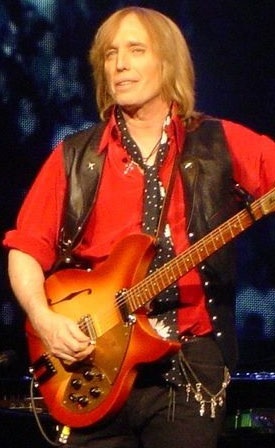 Petty sometimes played bass guitar in the Heartbreakers. His bass collection included a 1960's model Höfner Club Bass, and a 1960's model Höfner Violin bass. 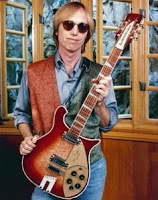 He also owned and played an ES-335 Gibson bass, and a 1960's Danelectro Longhorn bass. Both were used in The Travelin' Wilburys. 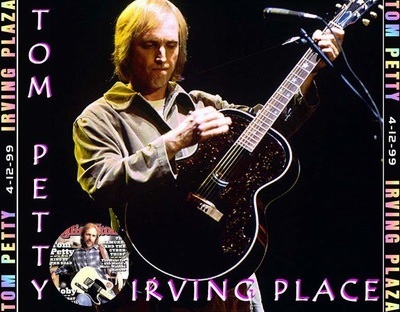 His favorite acoustic guitars included a C.F. 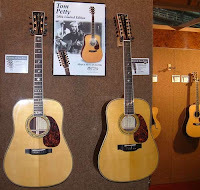 Martin HD-40 Tom Petty signature model, and a 12 version of this same instrument. 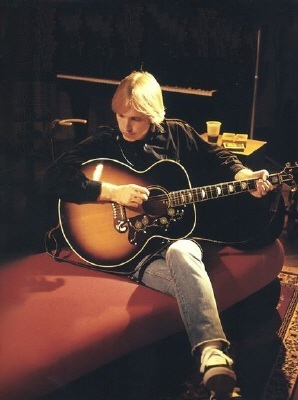 Petty owned a Gibson Dove, that he used as his primary guitar to write songs. He saved this guitar from a fire that destroyed his home in 1987. Other acoustic guitars included a 1987 Gibson Everly Brothers acoustic. 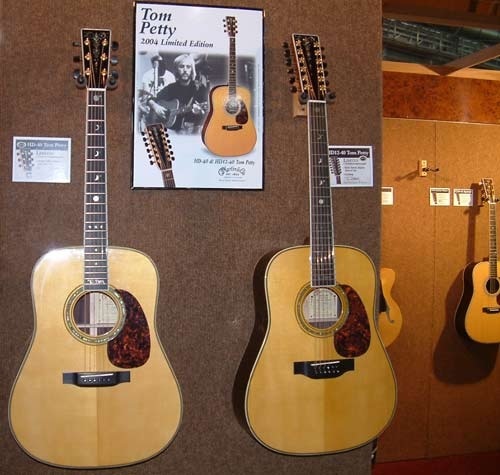 A Gibson Tom Petty signature J-200 Wlldflower acoustic, and a Gibson Pete Townsend J-200 acoustic-electric model that had a natural finish. He frequently played 1970’s Guild D25-12 string acoustic in concert. 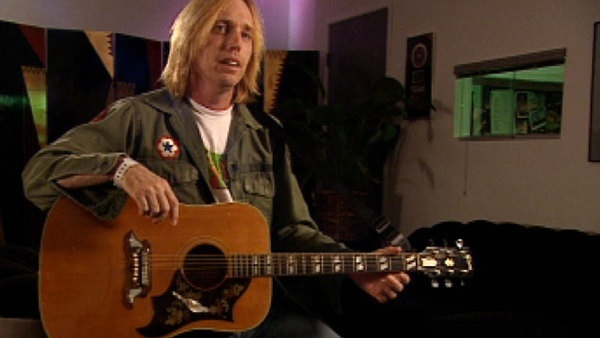 Fender had designed a Tom Petty model acoustic guitar. 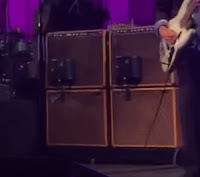 His amplifier set up included two 60 watt Fender Vibro-King combos. 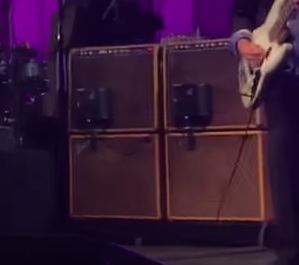 He also toured with a 1969 Marshall JMP Plexi head, and a 1987 Marshall Vintage Series 50 watt tube head. 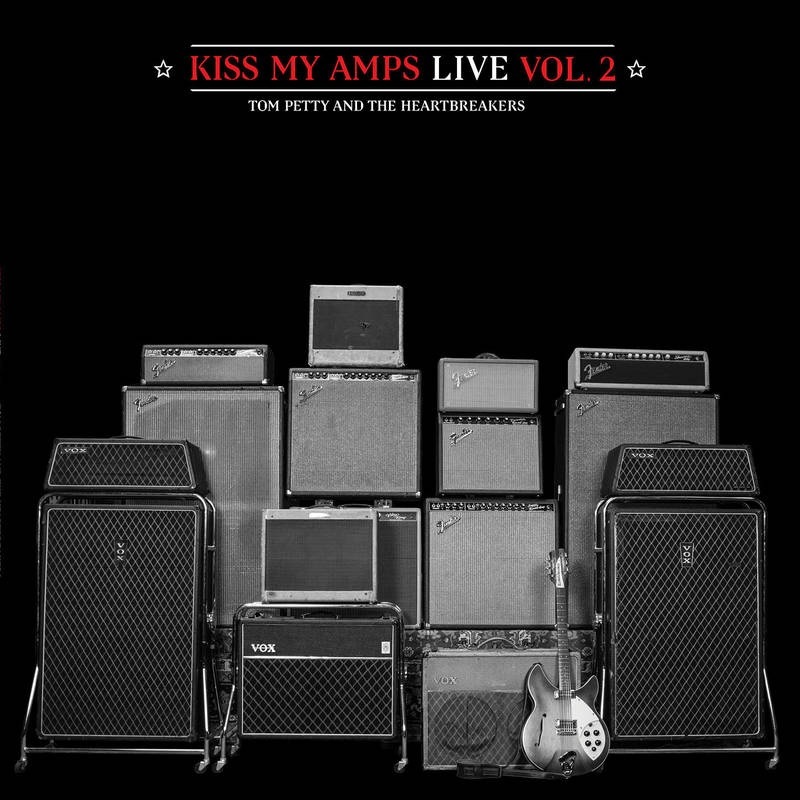 Petty preferred Vox speaker cabinets. He owned a mid 1960's model Vox 120 Super Beatle head. 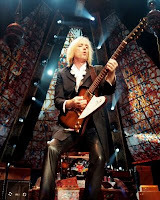 Petty took a couple of Hi-Watt amps on the road, including a 2007 Custom 50 watt head, and a recent model DR-504 Custom 50 watt head. 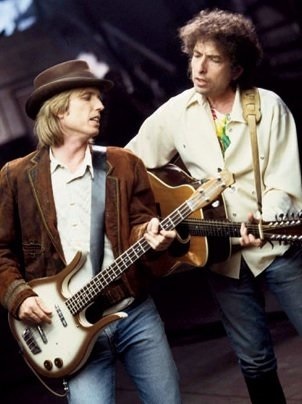 In addition to the Fender Vibro-King amplifiers, Petty also used a reissue '59 Bassman. 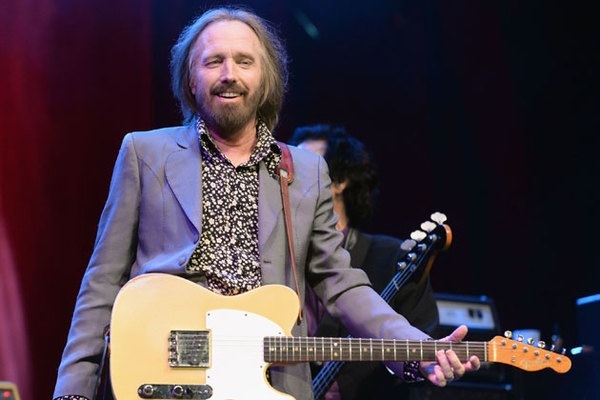 In a recent interview with Tom Wheeler, Petty states he purchased many of his guitars and amplifiers from Norm's Rare Guitars in Los Angeles. I will conclude this remembrance with some lyrics from Jimmy Webb’s song called, "All I know". "When the singer's gone Let the song go on..."